A tyre records and reveals a lot about what has happened to it during its life. It can help Original Equipment Manufacturers (OEMs) to adjust the design and prolong the lifetime of the tyres, and thereby the performance of the vehicle. The Danish trailer manufacturer Variant wanted specialist insight to resolve a customer concern and to raise tyre awareness in their team. Earlier this year, STARCO visited the trailer manufacturer Variant at their Danish headquarters. The purpose of the visit was to investigate a specific customer concern about unusual tyre wear. A secondary focus was to raise tyre awareness among Variant personnel through a two-hour course. “As one of STARCO’s tyre experts, Phil Robbins was here to help with the diagnosis, so we thought we may as well take the opportunity to carry out some internal training. We have many employees working with trailers that would benefit from thorough tyre insight. Phil gave us a good insight, on a relevant level,” says Torben Simonsen, Head of Purchasing at Variant. Torben emphasised that he received good feedback from his colleagues who joined from the sales, purchasing, production and technical departments. Phil Robbins, who conducted the training, joined STARCO as the Sales Support Engineer in 2014. He has nearly 30 years of tyre experience in a variety of technical roles within Michelin. The diagnosis showed that the undesirable tyre wear on some trailers was most likely because they were often used to carry a much lighter weight than they were designed for. Hence, the pre-determined camber angle on the axle was not optimised during the transport of these light loads, which resulted in the tyres not running smoothly on the road surface. Trailer axles are typically built with a pre-determined camber angle (sometimes with a bend in the axle as illustrated above), that compensates for the expected deflection under load. Ideally, when the trailer is loaded, the tyre footprint will contact the road evenly across the width of the tread. Tyres fitted to unladen and lightly laden trailers would permanently rotate with positive camber resulting in smooth sloped tyre wear. The primary function of wheels and tyres for trailers is not as complex or technical as wheel solutions for agricultural vehicles, due to the variety in machines, machine usage, traction requirements, and so on. “You would think that a wheel solution for trailers is one of the most straightforward products that STARCO has in their product range, because its only function is to carry a load and roll safely at high speeds. However, the life of a trailer tyre can be quite torrid. It has to cope with being neglected, exposed to the elements and asked to do its job at the drop of a hat,” explains Phil Robbins. STARCO has an Engineering team working with the development of STARCO’s product range and its customer development projects across various segments. STARCO offers tyre-awareness training and specific diagnosis to key customers. “In general, it is good for STARCO and our customers to join forces, both in quick-fix cases and longer term development, and it really pays off when we see the results of being involved in the early stages of the development process or when an issue occurs,” says Phil Robbins. “For us, quality and cost are the main drivers. However, who doesn’t like good service? 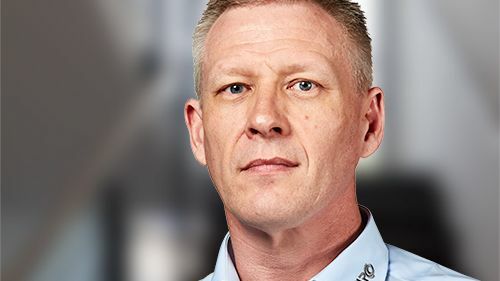 In general, we enjoy a broader collaboration with our suppliers – and with STARCO, we have many interfaces across the organisation,” says Torben Simonsen. He recommends that other manufacturers have tyre awareness training, both to increase insight and to broaden the relationship with their sub-suppliers. Founded in 1975, Variant is a Danish manufacturer of various trailer types – from minor hobby trailers to large trailers for the transport of cars, machines and 26-foot boats. Variant is the biggest Danish trailer manufacturer, with nearly 100 employees and more than 150 distributers, and 14,000 quality trailers sold in 2015.